03/19/18 (written by dshirk) – Over the past decade, more than 200,000 people have been murdered in Mexico, including the record 29,000 murders that occurred in 2017 alone. According to a new Justice in Mexico policy brief by Lucy La Rosa and David A. Shirk, the recent increase in violence is one of the unintended consequences of the Mexican government’s strategy to target top organized crime figures for arrest and extradition. 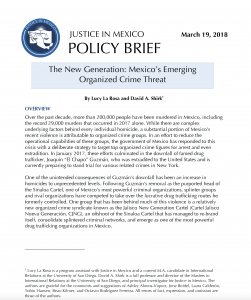 In the policy brief, titled “The New Generation: Mexico’s Emerging Organized Crime Threat,” the authors contend that the “kingpin strategy” that led to the downfall of famed drug trafficker Joaquín “El Chapo” Guzmán has now given rise to a new organized crime syndicate known as the Jalisco New Generation Cartel (Cartel Jalisco Nueva Generación, CJNG). The authors provide a detailed history of the CJNG, an offshoot of the Milenio and Sinaloa Cartels. As recounted in the new report, the CJNG has managed to re-brand itself, consolidate splintered criminal networks, and emerge as one of the most powerful drug trafficking organizations in Mexico. Based in Guadalajara, the capital of the state of Jalisco, the CJNG has a widespread and growing presence that authorities say spans two thirds of the country. The CJNG is headed by Ruben “El Mencho” Oseguera, a small time drug trafficker who was convicted in California, deported to Mexico, and emerged as a ruthless and shrewd drug cartel leader. The authors contend that the CJNG offers a timely case study of how organized crime groups adapt following the disruption of leadership structures, and the limits of the so-called “kingpin” strategy to combat organized crime, which has contributed to the splintering, transformation, and diversification of Mexican organized crime groups and a shift in drug trafficking into new product areas, including heroin, methamphetamines, and other synthetic drugs. The authors offer three main policy recommendations. First, the authors argue that U.S. State Department and their Mexican partners must continue working earnestly to bolster the capacity of Mexican law enforcement to conduct long-term, wide-reaching criminal investigations and more effective prosecutions targeting not only drug kingpins but all levels of a criminal enterprise, including corrupt politicians and private sector money laundering operations. Second, the authors argue that U.S. authorities must work more carefully when returning convicted criminals back to Mexico, since deported criminal offenders like CJNG leader Oseguera are prime candidates to join the ranks of Mexican organized crime. Third, and finally, the authors contend that further drug policy reforms are urgently needed to properly regulate the production, distribution, and consumption of not only marijuana but also more potent drugs, including cocaine, heroin, and methamphetamine. 02/16/18 (written by Genesis Lopez) – A new Justice in Mexico working paper by Laura Y. Calderón, entitled Organized Crime and Violence in Baja California Sur, provides analysis on the elevated levels of violence directly impacting key Baja California Sur cities, Los Cabos and La Paz. Utilizing the latest information and statistics on this topic, Calderón found that much of the violence in Baja California Sur is linked to organized crime groups looking to control these key drug trafficking areas. The working paper further discusses the increase in violence linked to organized crime group rivalries and subsequent government action in these affected regions. According to Calderón, Baja California Sur’s economy depends heavily on tourism and commerce. 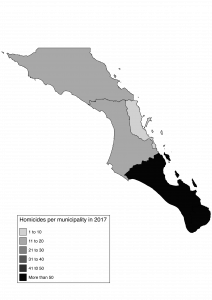 Historically, Baja California Sur is characterized by having some of the lowest rates of crime and violence in Mexico. The recent surge in violent crime over the last decade is connected to the region’s transformation into an important nexus for drug traffic operations in Mexico. Since 2010, the Sinaloa Cartel has dominated the Baja California region- formally headed by drug trafficker, Joaquín “El Chápo” Guzmán. Guzmán’s organization looked to remove other competing organized crime groups in the region. Their success in consolidating a territory monopoly caused a drop in violence while opening their access to the U.S. market. The arrest and extradition of Guzmán caused a significant shift in the structure of Sinaloa, initiating internal competition between regional Sinaloan leaders. Additionally, with major kingpins like Guzmán being targeted by Mexican authorities, other cartels in the area took this as an opportunity to gain power. A new organized crime group called the Cartel de Jalisco Nueva Generación (Jalisco New Generation Cartel, CJNG), headed by Nemesio “El Mencho” Oseguera Cervantes is rapidly becoming the main competitor to the Sinaloa Cartel. In response to the increased violence, Mexican authorities deployed soldiers to Los Cabos and La Paz in an attempt to lower the rates of homicides through military presence in important hotspots. This deterrence tactic required the cooperation of municipal, state, and federal forces. However, local law enforcement is often under-trained and minimally equipped to meet the challenge presented by organized crime. Overall, the militarization approach has not proven to be successful. Calderón posits that the recent violence seen in Baja California Sur could be linked to the spillover effect from other violent states nearby. 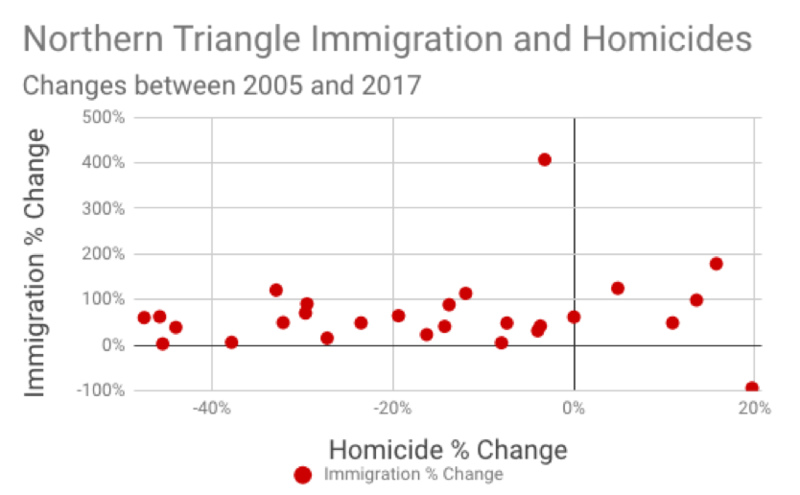 According to scholars, Miming Pan, Benjamin Widner and Carl E. Enomoto, negative economic growth of one state exacts a consequence on neighboring states, causing the crime rates to increase. Although the Sinaloa cartel continues to hold dominance over almost the entire state, excluding the contested cities of La Paz and Los Cabos, there is a strong internal struggle over the lack of partnerships and centralized leadership for the organization. Moreover, the increasing prominence of the CJNG continues to challenge Sinaloa for the largest, operating organized crime group in Mexico. Given the salient information presented in Calderón’s working paper, it is important to note that most of the violence happening in Baja California Sur is amongst individuals involved in organized crime. Tourists should exercise caution, but also keep in mind that the number of tourists of being targeted is currently low. Meanwhile, Mexican authorities in Baja California Sur, including local law enforcement and public officials, must be willing to engage in transparent and informed dialogue. Collaboration will be key to protecting the general citizenry and tourist flows, an important source of revenue to the state of Baja California Sur. Pan, M., Widner, B. and Enomoto, C. E. (2012), GROWTH AND CRIME IN CONTIGUOUS STATES OF MEXICO. Review of Urban & Regional Development Studies, vol 24: p 51–64. 01/07/18 (written by David A. Shirk) — Late on the afternoon of Saturday, December 9, 2017, Jose Santos Hernández, the mayor of the town of San Pedro el Alto, Oaxaca, was assassinated. 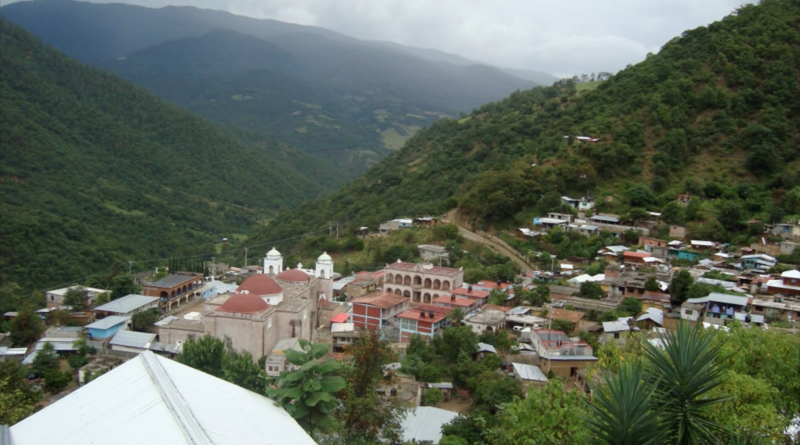 The town is known for its internationally recognized forestry management program and recent damage from Mexico’s September 2017 earthquakes than as a place for drug trafficking. Santos Hernández’s murder took place on an unpaved road near the 175 highway, as the mayor and his family were returning from a religious festival celebrating the Virgen de Juquila in the town of Santa Catarina Juquila. Santos Hernández was forced from his car and fatally wounded by several gunshot wounds, including a close range shot to the head. According to a new Justice in Mexico working paper entitled “An Analysis of Mayoral Assassinations in Mexico, 2000-17″ by Laura Y. Calderón, Santos Hernández was among the nine mayors killed in 2017, including three in December 2017 alone. 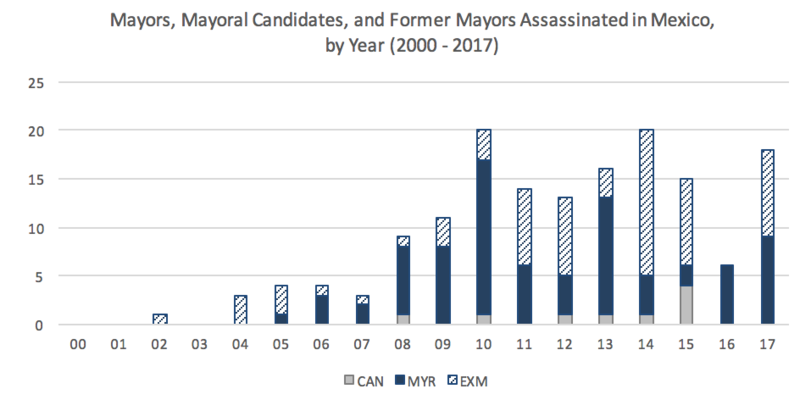 All told, Calderón found that at least 78 mayors have been assassinated since the year 2000 and taking into consideration candidates and former officials, more than 150 of Mexico’s mayors have been killed in the past fifteen years (See Figure 1). Using comparable data from 2016, Calderón finds that Mexico’s mayors are three times more likely to be killed than journalists in Mexico, and 12 times more likely to be killed than the average person in Mexico. 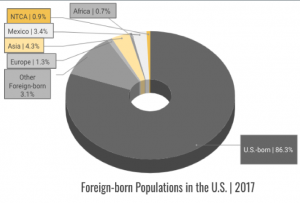 Her findings raise serious concerns about the dangers facing the country’s local politicians, particularly as Mexico looks to an important election year in 2018. According to Calderón, since 2000 there has been an unprecedented number of assassinations targeting current, former, and aspiring local elected officials in Mexico. Drawing on information from Memoria, a database of individual homicides in Mexico compiled and managed by the Justice in Mexico program at the University of San Diego, Calderón examined all 156 assassinations involving sitting mayors, former mayors, and candidates for mayoral office in Mexico’s 2,435 municipal governments. In total, the Memoria dataset identifies 79 mayors, 68 former-mayors, and 9 mayoral candidates that have been murdered under various circumstances. Calderón’s study underscores Mexico’s alarming rate violence targeting local officials, and illuminates a number of interesting trends related to mayoral assassinations. Drawing on the Memoria dataset, Calderón identifies a former PRI mayor from the state of Tamaulipas, who was shot in 2002, as the first victim of violence targeting mayors, former-mayors, and mayoral candidates. In 2005, for the first time in decades, a sitting mayor was assassinated in the town of Buenavista Tomatlán, located in the state of Michoacán. This was followed by a dramatic increase in the number of assassinations targeting mayors, mayoral candidates, and former mayors as Mexico experienced a major increase in drug-related and other criminal violence starting in 2008. Calderón points out that some mayoral killings appear to have patterns associated with drug production and trafficking activities. For example, mayors assassinated in smaller towns tend to be located in rural areas well suited to drug production and transit. Those assassinated in larger cities tend to be located closer to the U.S.-Mexico border, which serves as an important transshipment point for drugs headed to the U.S. market. Indeed, Mayor Santos Hernández was killed the rural mountain town of San Pedro el Alto, located in a region—the “Costa Chica” located on the southwestern portion of the Oaxacan coast between the resort cities of Acapulco and Puerto Escondido—known as a trans-shipment point for drugs smuggled in small vessels. In recent years, farmers and fishermen in the Costa Chica region have been threatened or harmed by drug trafficking organizations, and there have been reports of criminal organizations engaged in public shootouts. However, it is not clear that the motive of Santos Hernández’s murder was attributable to organized crime. On Thursday, January 11, authorities arrested the city treasurer of San Pedro El Alto, Francisco Javier, for being the alleged intellectual author of the murder. Local investigators arrested a man identified in newspaper reports as “Francisco Javier,” the treasurer of the local government, who authorities believe to have orchestrated the attack on Mayor Santos Hernández as a result of a feud over local financial matters. The matter remains under investigation. Mayor Santos Hernández’s murder underscores that many factors can play into violence targeting local officials. For example, according to Calderón, the assassination of local politicians has affected all three of Mexico’s major parties, as well as a number of smaller parties. While mayors from the Institutional Revolutionary Party (PRI) head roughly 60% of Mexico’s local governments, they represented only 37% of those mayoral candidates and 39% of sitting mayors that have been assassinated in recent years. Although the number of mayoral candidates assassinated was fairly small (9 total), three were candidates from Mexico’s leftist fringe parties, including the Movement for National Renovation (Morena), the Social Democratic Alternative (ASD), and the Partido Único (PUP). Source: Justice in Mexico Memoria dataset. Meanwhile, among the 71 sitting mayors killed, 21% were from the National Action Party (PAN), 17% were from the Party of the Democratic Revolution (PRD), and the remaining 23% were from smaller third parties. Partly because of its historically dominant role in Mexican politics, a much greater share of assassinated former-mayors heralded from the PRI (52%), while the next largest shares came from the PRD (25%) and smaller third parties (14%); a relatively smaller share of former PAN mayors (9%) have been killed after leaving office. A 2016 article by Beatriz Magaloni and Zaira Razu suggests that PAN officials at the state and local level may have been insulated from violence through better coordination with the federal government as violence spiked during the government of President Felipe Calderón (2006-12), a member of the PAN. What is clear is that local authorities have taken the brunt of violent attacks against public officials since the start of a decade-long, nationwide surge in homicides. A 2015 study by Guilermo Trejo and Sandra Ley analyzed roughly 500 violent threats and attacks against local politicians in Mexico and found that the vast majority involved local officials (83%) and that most occurred between 2007 and 2014 (90%). As Santos Hernández’s case appears to illustrate, many local politicians are assassinated for complex reasons seemingly unrelated to organized crime, including political rivalries, inter-personal conflicts, and intra-familial violence. Also, as Calderón’s study reveals by including former-mayors in her analysis, a large number of former government officials are also targeted for violence, presumably well after they are of strategic value to criminal organizations. This raises important questions that require further investigation into the motives and incentives behind the murders of Mexico’s former mayors. What is quite certain is that the recent wave of violence against local officials is unprecedented in Mexico, and has few parallels elsewhere. Recent trends also underscore the precarious situation for current aspirants to local elected office as Mexico gears up for the 2018 elections. One of the front runners in this year’s presidential election is Andres Manuel López Obrador, a former member of the PRD who defected to found Morena, a new leftist party that has gained ground rapidly in recent years. The prospect of a Lopez Obrador victory has heightened political tensions and could contribute to recent patterns of violence targeting local candidates and officials. 10/10/17- (written by Lucy Clement La Rosa) In October of this year, Nexos, a political magazine based in Mexico City, featured an article co-authored by Justice in Mexico Director and Program Coordinator, David Shirk and Octavio Rodríguez, that examines rule of law and judicial reform in Mexico. The article, titled “El Justiciabarómetro Mexicano” (The Mexican Justice Barometer), highlights the Justice in Mexico’s Justiciabarómetro project, a quantitative research initiative to gauge the current levels of comprehensive judicial reform and the professional attitudes of judicial operators throughout the Mexican criminal justice system, including police, public defenders and judges. The article introduces the background of the Justiciabarómetro project, which began in 2009 and was first published as research study in 2010. The project was initiated at a critical moment in Mexico’s democratic development in order to provide much needed analysis of judicial operators and judicial reform in Mexico. Just one year before, Mexico’s ruling president Enrique Peña Nieto had launched an ambitious judicial reform, aimed at improving the transparency of the criminal justice system. Under the agenda of New Criminal Justice System (Nuevo Sistema de Justicia Penal, NSJP), the reforms targeted various operators across multiple judicial sectors, including police officers, prosecutors, public defenders, the Ministry of the Public, the courts, and the prison system. The reforms introduced new judicial procedures and standards with the intent of promoting greater access to justice (for defendants and victims alike) and improving the efficiency of judicial operators. The 2008 reforms were implemented following a general outcry over the dysfunctionality of Mexico’s justice system, which was fraught with impunity, corruption, legal misconduct and a general lack of access to justice for defendants and victims. In fact, Mexico’s society was so disenfranchised by the rate of impunity and level of uninvestigated crimes that often crimes went unreported. Moreover, crimes that were reported were often protracted by trial delays, a reliance on eye witness testimony and general negligence. The first Justiciabarómetro published in 2010 was a survey of judicial operators across nine Mexican states with a response rate of 24%. The survey, composed of over 120 questions, focused on the demographic and professional profiles of judicial operators as well as their personal perspectives on various topics; including: the effectiveness of the judicial sector, the implementation of the new judicial sector and the attitude towards persistent problems of corruption, organized crime and violence. 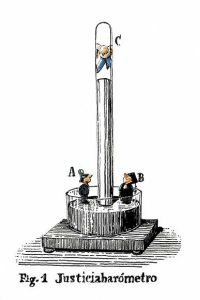 The study generated useful indicators as the early development of Mexico’s judicial reform, useful not only for academic purposes, but also for public policy initiatives. The Nexos article specifically highlights the most recent 2016 Justiciabarómetro publication, which covered 11 Mexican states with a response rate of 56%. In comparison to the baseline of the first Justiciabarómetro study, the 2016 study discovered several positive changes in the attitudes of the surveyed judicial operators towards judicial reform. For example, about 80% of the survey participants believe that the NSJP will reduce institutional corruption and about 95% of judicial operators prefer the new oral, adversarial trial procedures over the antiquated, written procedures. The 2016 study also identifies several persisting challenges within Mexico’s judicial system that beg to be address for the sake of the success and continuity of the judicial reform process. Overall, the Nexos article underscores the objectives and important findings of the latest Justiciabarómetro study with relation to Mexico’s judicial reform and judicial operators. The objective of Justice in Mexico’s ongoing Justiciabarómetro project is not only to fill the gap in the literature related to judicial operators, but also to provide routine evaluation of the Mexican judicial system. In this manner, the Justiciabarómetro can identify progressive development and remaining challenges within Mexico’s comprehensive judicial reform and judicial personnel. It is the overarching goal of our organization to accentuate the positive impact of the relatively new oral, adversarial system in Mexico’s rule of law and subsequently reinforce the continuous development of Mexico’s judicial system. Please see below for a link to the Nexos feature (Spanish); there is also a separate link to the translated Nexos article (English).